Flooding closes Wolcott Drive, inundates Lakeside Speedway, other businesses – Welcome to Wyandotte Daily! Wolcott Drive west of Hutton Road flooded today, and Wolcott Road is now closed. 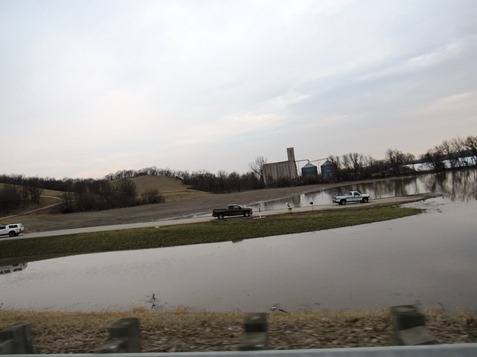 Flooding was seen Saturday morning at a grain elevator located near 105th and Wolcott Drive. The street is now closed to traffic because of flooding. 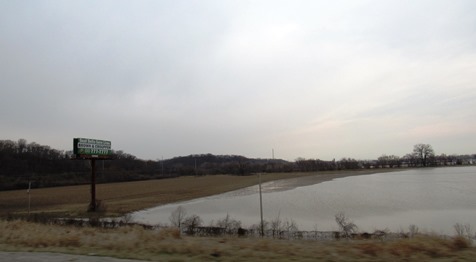 A view of flooding near I-435 in western Kansas City, Kansas, was seen from Wyandotte County Lake Saturday morning. Water from the Missouri River was seen Saturday morning heading along I-435 in the direction of Wolcott Drive. It had already filled some space to the west of this photo. The entrance of Lakeside Speedway on Saturday morning. Wolcott Drive in western Kansas City, Kansas, has been closed Saturday afternoon after levees on the Missouri River overtopped. 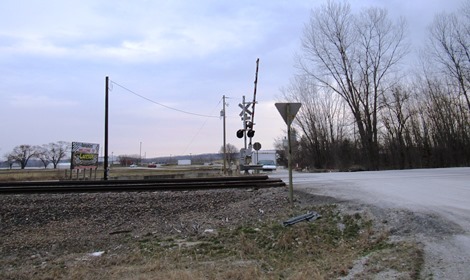 Pete Howey, whose family owns the Lakeside Speedway track on Wolcott Drive, said he was at Lakeside Speedway on Wolcott Drive Saturday morning when a levee broke near the grain elevator nearby. Water came into the speedway track and flooded it. “It just gave through, it’s been rising approximately 10 inches an hour,” Howey said. When he left Saturday morning, the water was chest-high on him, and he’s 5-10, he added. Wolcott Drive also includes a grain elevator company and cement company. There are no homes there. 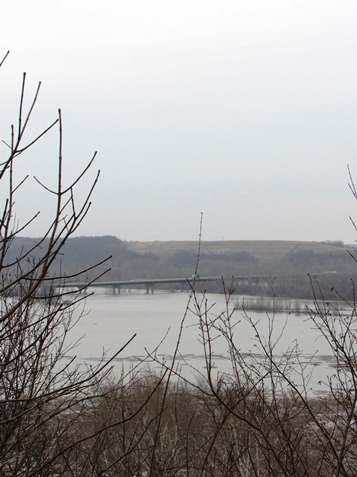 Officials with the Corps of Engineers said at a news conference today that four Kansas levees overtopped Saturday on the Missouri River, including one at the Kansas Department of Corrections in Lansing and three Wolcott levees. One of the three Wolcott levee sections was breached as well, according to the Corps. The levees that overtopped Saturday were nonfederal levees that were locally operated and maintained, according to Corps officials. The Missouri River is forecast to crest in the Kansas City area tonight and Sunday, according to officials. Wolcott Drive was closed to traffic at Hutton Road, Howey said. K-5 is also closed from Lansing to Eisenhower Road in Leavenworth County. 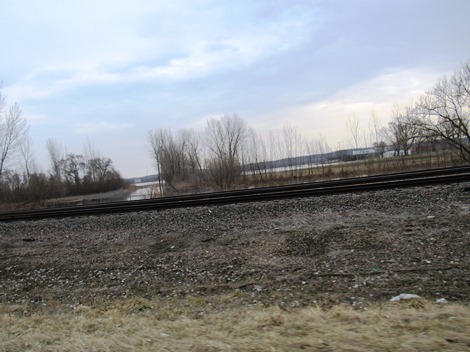 Howey said the railroad tracks that run on Wolcott Drive are under water in two places, as well. Lakeside Speedway had been scheduled to open its season on April 19, and now it will have to wait, he said. It will be back, as soon as it can be. All he needs is to get physically back on the roads and start working on it again, he said. It just depends on what Mother Nature does, he added. If the river declines, then goes up again, it may take a while. It’s too early to set a new opening date, he added. He said during the 2011 flood, it took nine weeks for the previous owner to get the track open again. Lakeside opened in 1955 near 92nd and Leavenworth Road, and moved to 5615 Wolcott Drive in 1989. Lakeside Speedway definitely will be reopening sometime in the future, he said.